Natural yellow dye derived from Crocus sativus, commonly known as the saffron crocus. 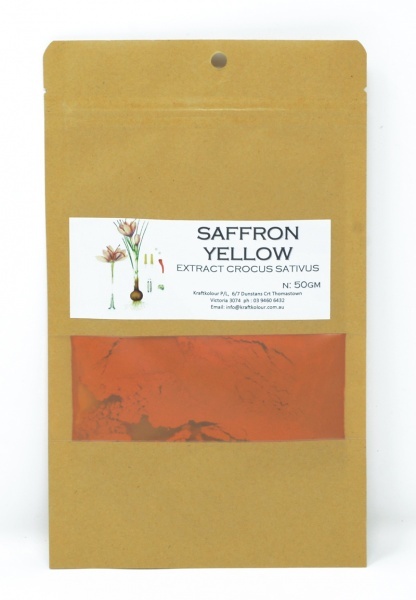 Saffron also contributes a luminous yellow-orange colouring to foods and is widely used in Indian, Persian, European, Arab, and Turkish cuisines. Saffron used as a fabric dye, gives bright buttery yellows. Dye fibre at 3% for medium shades. Use alum mordant at 15% WOF for protein fibres.